The top 101 astronomical events to watch for in 2015 #space « Adafruit Industries – Makers, hackers, artists, designers and engineers! Mark your calendars! Universe Today has posted a HUGE list of the top 101 astronomical events to watch for in 2015. From eclipses to comets – we are excited to see what 2015 brings. What astronomical event are you looking most forward to next year? Now in its seventh year of compilation and the second year running on Universe Today, we’re proud to feature our list of astronomical happenings for the coming year. Print it, bookmark it, hang it on your fridge or observatory wall. Not only is this the yearly article that we jokingly refer to as the “blog post it takes us six months to write,” but we like to think of it as unique, a mix of the mandatory, the predictable and the bizarre. It’s not a 10 ten listicle, and not a full-fledged almanac, but something in between. A rundown of astronomy for 2015: There’s lots of astronomical action to look forward to in the coming year. 2015 features the minimum number of eclipses that can occur, two lunars and two solars. The Moon also reaches its minimum standstill this coming year, as its orbit runs shallow relative to the celestial equator. The Moon will also occult all naked eye planets except Saturn in 2015, and will occult the bright star Aldebaran 13 times — once during every lunation in 2015. And speaking of Saturn, the rings of the distant planet are tilted an average of 24 degrees and opening to our line of sight in 2015 as they head towards their widest in 2018. Finally, solar activity is trending downwards in 2015 after passing the sputtering 2014 maximum for solar cycle #24 as we now head towards a solar minimum around 2020. – The two final total lunar eclipses in the ongoing tetrad, one on April 4th and September 28th. – The only total solar eclipse of 2015 on March 20th, crossing the high Arctic. – A fine dusk pairing of the bright planets Jupiter and Venus on July 1st. – Possible wildcard outbursts from the Alpha Monocerotid and Taurid meteors, and a favorable New Moon near the peak of the August Perseids. – Possible naked eye appearances by comet Q2 Lovejoy opening 2015 and comet US10 Catalina later in the year. – The occultation of a naked eye star for Miami by an asteroid on September 3rd. – A series of fine occultations by the Moon of bright star Aldebaran worldwide. 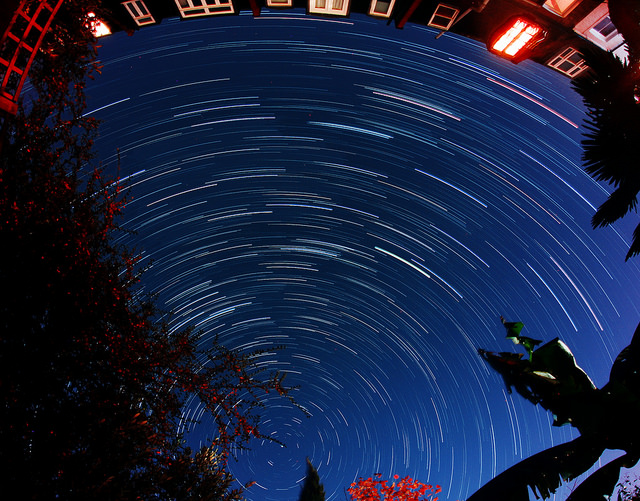 Meteor showers: Must have a predicted ZHR greater than 10. Conjunctions: Must be closer than one degree. Asteroid occultations: Must have a probability ranking better than 90 and occult a star brighter than magnitude +8. Comets: Must reach a predicted brightness greater than magnitude +10. But remember: comets don’t always read prognostications such as this, and may over or under perform at whim… and the next big one could come by at any time! Times quoted are geocentric unless otherwise noted, and are quoted in Universal Time in a 24- hour clock format. These events are meant to merely whet the appetite. Expect ‘em to be expounded on fully by Universe Today as they approach. We linked to the events listed where possible, and provided a handy list of resources that we routinely consult at the end of the article. Go here to see the list!